An online presence is critical in our web-focused world. I work closely with you to create the perfect website for your business. Templates are available but I prefer to build from scratch resulting in a unique site designed specifically for you and the character of your business. Often, a desktop website can be heavy in images and effects. No problem for the home or office broadband. Mobile users are paying per gig of usage and a heavy site would cost them. For this reason, we can design a dedicated mobile site with reduced graphics which makes it faster to load and costs your customer less. is a responsive web page. If you drag the bottom right corner of the page to the left of the screen you will see how it changes. A responsive web page is designed to fit any size screen from desktop to the smallest mobile phone and still look like and display the same information. 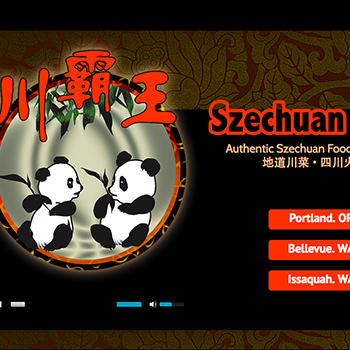 Take a look at a menu deigned specifically to show food menu items to potential customers. fully customizable. We believe in your involvement. The work will be available to you at every stage of development and advice for presentation can be given at any time. Each design is part of the port folio for us. Helping with marketing concepts and strategies is part of the job. Each business has individual characteristics and we work with you to identify them and display the benefits to your customers. We refine because we’re never satisfied. We test, hone, and customize our process to better suit your specific goals, and we work to redefine the digital experience in your industry. Plus, our work doesn’t end on site upload. We expect your business to grow and change over time and therefore your site content will continually need changing and updating. We hope to form a long term partnership and not just a passing romance. Having a client or customer able to make or request an appointment or reservation at anytime of the day or night online can be a valuable asset. We can attach these forms easily to the contact forms normally found on a business site. These are just a few clients with current websites. tap on the picture to view basic information then select the link to visit the site. Each one of these have dedicated mobile and desktop sites. Accordingly, the design will be very different in each format. 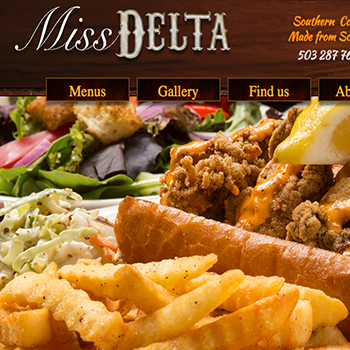 A Mississipi and Cajun bar and restaurant. I wanted to show the laid back feel of the bar. One of the more popular places in Portland Oregon. 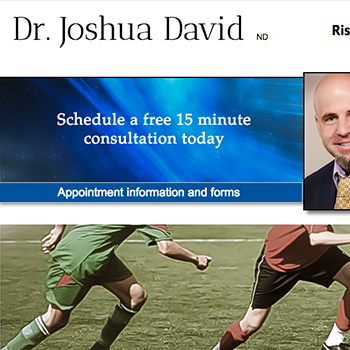 Dr. David has a great del of information to be available for his clients. However, he wanted something compact with a new but business feel. A small chain of Chinese restaurants. I shot all their food pics and was given a free hand for design and logo development. We see each site as a new challenge and adventure to capture the character and the needs of the business. We go to great lengths to produce a practical but visually pleasing result. Websites are now being designed in responsive format. However, they can also be designed in a dedicated form. 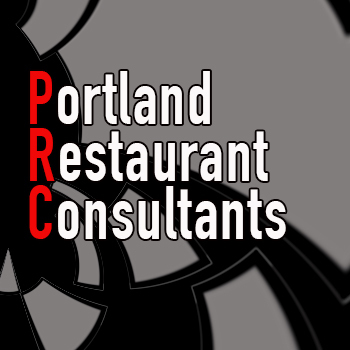 People looking at a restaurants site on a mobile phone are normally seeking just the basic info and so a lighter site can be designed for mobile. Product photography is very important now, specially in the food service a restaurant industry. We can upload your photography in bulk to media sites. Setting up email addresses for yourself, website contact, reservations or appointments and all your staff, can be a confusing and arduous task. We can help with server selection and email setup. You can change and manage videos, galleries and graphics yourself or we can do it for you. In a visual orientated world, product photography such as food has become one of the most valuable marketing tools in your marketing plan. We all expect to see pictures on our phones rather than text. Often, clients will want their own logo or graphics on their site. These designs can be carried through the site, leaflets, business cards and any other printed materials to form a branding. We always include a comprehensive contact form for any website. It can be as brief or as detailed as you need. See our get started form below. Templates are available but I prefer to build from scratch resulting in a unique site designed specifically for you and the character of your business. This mobile version of the page is slightly different from the desktop version making it easy to load and manage by the phone you are holding.